A man was pepper sprayed in the face over an argument about dog poop Wednesday evening, according to Butte police. Officers reportedly responded to a residence on the 600 block of South Idaho Street around 6 p.m. on an assault call. There, they met a man holding a wet towel to his face after allegedly being pepper sprayed. The man told police that another man came to his house to ask about his dog. The suspect told the man that he was “sick and tired of your dog pooping in my yard,” police said. When the man came out of his house to confront the suspect, he said he was pepper sprayed in the face. The suspect reportedly drove away in a green vehicle, police said. Officers are looking for the suspect to hear his side of the story. A 26-year-old man was arrested on two felony warrants on Wednesday morning. 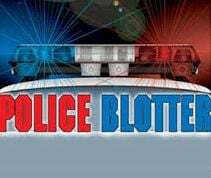 Police noticed a vehicle headed south on Montana Street going 41 miles per hour in a 25-mile-per-hour zone at around 10 a.m. Officers were able to stop the vehicle on the 500 block of South Montana Street. In speaking with the driver, Michael Nickerson, police discovered Nickerson had two felony warrants, one for failing to comply with court orders and another for failing to register as a violent offender. Nickerson was arrested and transported to the county jail without further incident, police said.